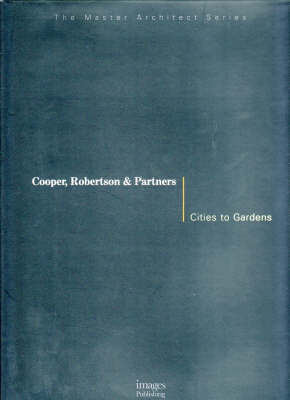 Cooper, Robertson & Partners was founded in 1979 on the ambitious premise that the pursuit of excellence in both architecture and urban design could best serve its clients' needs while meeting its own professional goals. The New York-based firm provides design, programming and development advisory services for private clients, cultural and academic institutions, public agencies, entertainment companies and developers of new communities. Recent projects include the plan for Hudson Yards in Manhattan, the new Battlefield Museum and Visitor's Center at Gettysburg National Military Park, master plans for the medical centres at John Hopkins, and Columbia Presbyterian, and waterfront master plans for Detroit, Chula Vista, Miami and Memphis. This monograph examines the firm's architectural and urban design projects, clearly demonstrating why it is the first and only firn ever to receive the National American Institute of Architects Award in both architecture and urban design in the same year.